In September 2017 the Pension and Benefits Board was pleased to welcome Nicole Jeffrey back to the Pension and Benefits Board office in the newly designated position of Director of Pension and Benefits. A Message from the Director: I am happy to have returned to the Pension and Benefits Board office with refreshed vision in a new capacity, and to once again be able to support the Pension and Benefits Board with God’s grace and guidance. My objectives are to ensure that the Pension and Benefits plans of our Church are administered effectively and conscientiously, following all applicable legislation and regulations, as well as to manage the Pension and Benefits office, ensuring support for congregations, plan members and other agencies of the Church. It is vital that the Pension and Benefits office stay current in an ever changing climate. I am committed to keeping the focus of sustainability in the forefront as we explore opportunities to be progressive, while continuing to respect the current policies and practices of the Church. The 144th General Assembly met at Wilfrid Laurier University from June 3–6, 2018. The Rev. Cameron Bigelow, Convener of the Pension and Benefits Board, presented the Pension and Benefits report, which provided updates on the pension plan’s financial status and the Board’s review of the Group Benefits Plan and Employee Assistance Program (EAP), as well as an amendment to the constitution relating to pensionable service for doctoral students. The Pension and Benefits Board will meet next on October 1–2, 2018. As previously communicated to you, our plan has taken advantage of provincial pension funding relief options that have given us additional time to eliminate our current funding shortfall. Funding relief has no effect on the amount of pension you have already earned or the pensions now being paid to our current retirees. Benefits earned to date cannot be changed and are fully protected under the terms of the plan. However, in the unlikely event that the plan wound up while we are making reduced payments, there would be less money to pay benefits than there would be without funding relief. deferred the start of payments of the new shortfall identified in the March 31, 2017 actuarial valuation for 2 years (rather than 1 year). Based on the most recent valuation at March 31, 2017, congregations and employers must contribute $6.2 million annually as of April 1, 2017, increasing to $10.1 million annually effective April 1, 2019; $7.2 million annually effective April 1, 2022; and $5.5 million annually effective April 1, 2023. Special payments required to fund the solvency shortfall are scheduled to stop in March 2024. In 2017, member contributions to the plan totaled $3.6 million and employer and congregation contributions to the plan totaled $6.6 million. As of March 31, 2017, which was the date of our most recent valuation, our plan had a transfer ratio of 86.6%. This means that if the plan had wound up on that date, it would have had enough funds on hand to cover 86.6% of the full value of the pensions earned by current and retired members. This is an improvement over the transfer ratio from the March 31, 2014 valuation, which was 85.2% and the transfer ratios from the funding relief reports indicated above: 79.1% at June 30, 2011 and 65.2% at June 30, 2012. Sign up for direct deposit…Quick, easy, and convenient! Put an end to waiting for your claim payments in the mail and having to go all the way to your financial institution to deposit them. With Sun Life’s direct deposit feature, when your claim is processed, the money is deposited into your bank account within 48 hours, and you will receive an e-mail to let you know. You can sign up for direct deposit online by logging in to mysunlife.ca. 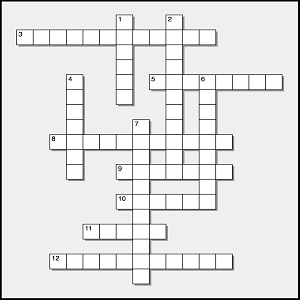 Put your knowledge of pension and group benefits to the test with our crossword. Click here to try our crossword online. To find out if you have solved our crossword, you can check the answer key for the online version here. If you would prefer to do our crossword by hand, you can download a printable version. For our printable version, You can check your answers with the correct responses at the bottom of the page. In addition to notifying us of any significant life changes, please let us know about any changes to your contact information, such as a new telephone number or email address, so we can be sure to always keep you informed of important plan updates. Have questions concerning the pension or group benefits plan? This newsletter provides summary information about The Presbyterian Church in Canada’s pension and benefits plans. It is not intended to be complete or comprehensive, or to provide legal or medical advice. If there are any discrepancies between this bulletin and the wording in the legal documents that govern the plans, the legal documents will apply in all cases. For more information, contact Pension and Benefits by email or call 416-441-1111 or 1-800-619-7301 ext. 287.